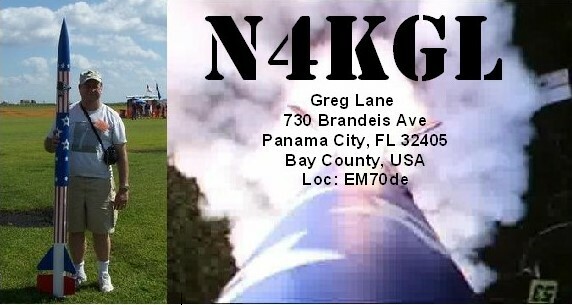 I have decided my journey for the April 4th RaDAR Challenge will be through St Andrews State Park near Panama City, Florida. I will arrive at 8 AM and will have until sundown to make the most of it. 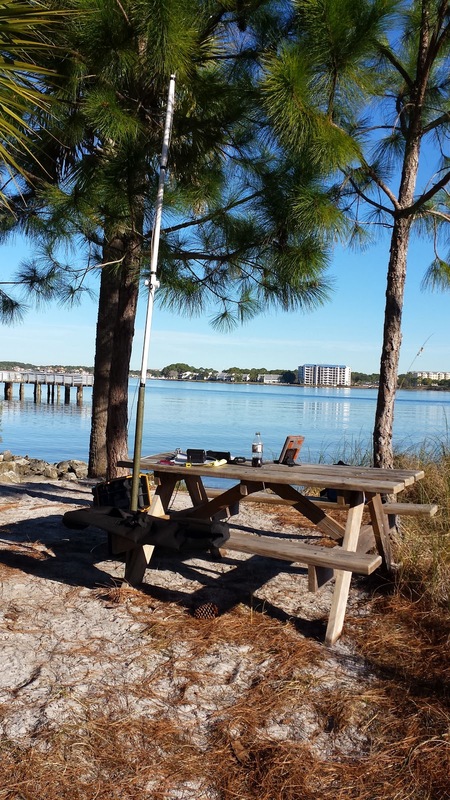 There are two piers, a gazebo at the jetties and best of all Sandy Point. I could trek on the sand between stops or I could chose an internal road. I know the Alexloop will be the lightest pack-up or I could bring a vertical. 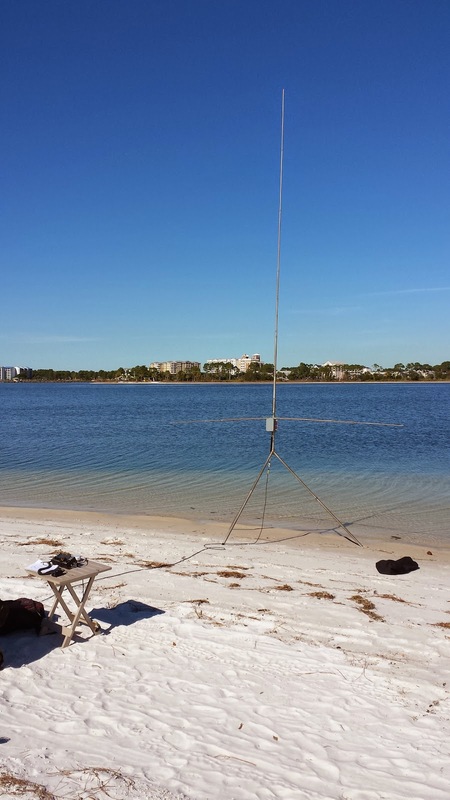 I'll be taking advantage of the salt water effect to the max and will be looking for local, US and DX RaDAR contacts.The weather forecast is for warm temps and gusty breezes. I included some photos of past trips to St Andrews below. 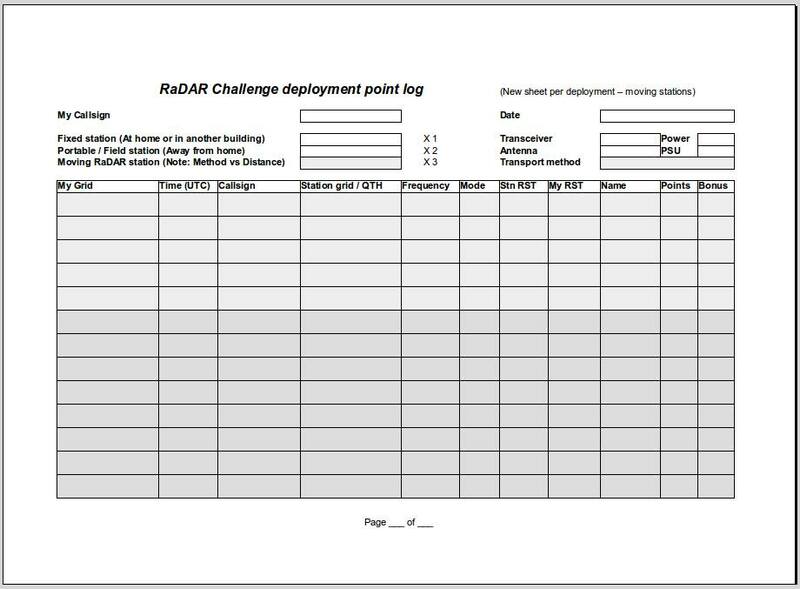 Click here for more info on RaDAR challenge and define your own journey! April 4th 2015 RaDAR Challenge: Define your Journey! points system is so structured as to encourage portable RaDAR operations, especially moveable RaDAR stations. Moveable RaDAR stations rely on fixed and portable stations as a point of contact using channelised frequencies. “Search and pounce” techniques are also allowed. From 00:00 UTC to 23:59 UTC on Saturday 4 April 2015 and from 00:00 UTC to 23:59 UTC on Saturday 7 November 2015 - 24 hours will give equal opportunity to the international community of RaDAR operators. RaDAR operators can define their own operating time schedule or remain active for the full 24 hours. Log sheets must be submitted by 14 April 2015 and 17 November 2015 and sent by e-mail to edleighton@gmail.com. See https://zs6bne.files.wordpress.com/2015/03/11046905_10152762072212759_727315224761083499_n.jpg for a log sheet specifically designed for the 2015 RaDAR contest. Visit zs6bne.wordpress.comand https://plus.google.com/communities/109283065808971118728for more info about RaDAR. I encourage all hams to participate. Let us know your plans and results. Good luck and be safe! 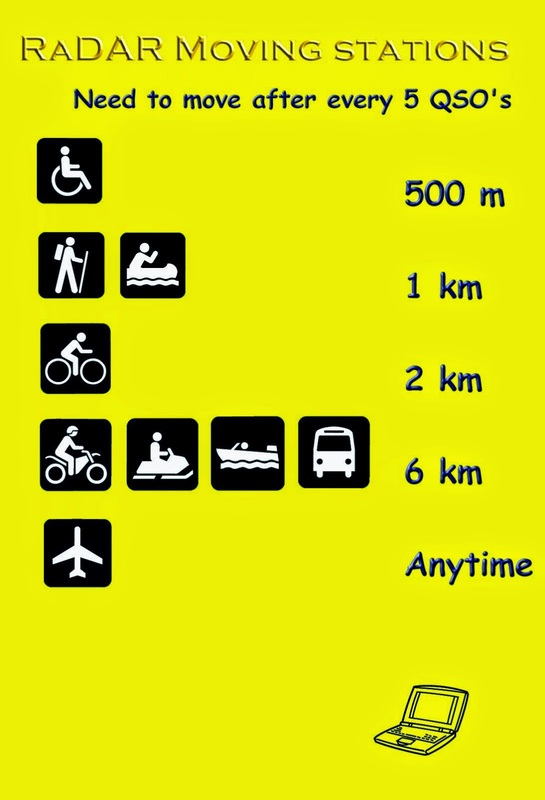 RaDAR Challenge: Have it Your Way! 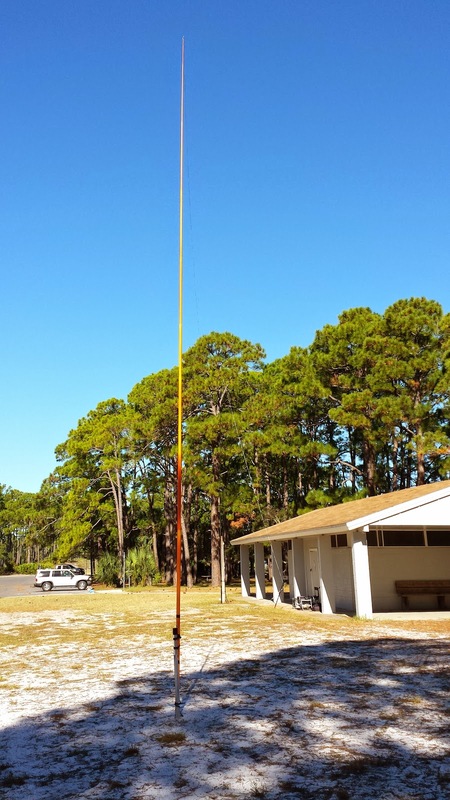 The previous Rapid Deployment Amateur Radio (RaDAR) Contests were four hour events on the first Saturday of April and November. The contests were a specific four hour time slot which worked for me and I did enjoy working against the clock. However, for operators all around the globe a specific time slot does not work. 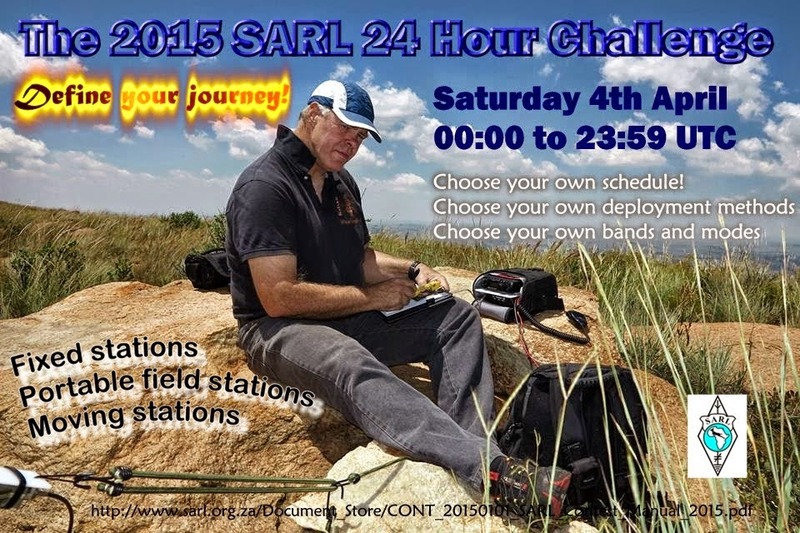 Eddie ZS6BNE has evolved the RaDAR contest into the RaDAR Challenge which will be a 24 hour event on the same days. That will to give us the maximum flexibility to schedule our operations. Likewise RaDAR is about motion. Make five contacts and move! How you move is up to you. I will let the graphics below tell the story. Funny, I had thought about doing RaDAR ops for Field Day. Moving during Field day is non-traditional but not precluded by the rules. Now with the RaDAR Challenge being 24 hours I can have a Field day RaDAR style in April. I really would like to hit all my favorite spots in one day. Of course now the challenge is getting April 4th set aside. If this idea appeals to you visit Eddie's Blog and the Google+ RaDAR Community. 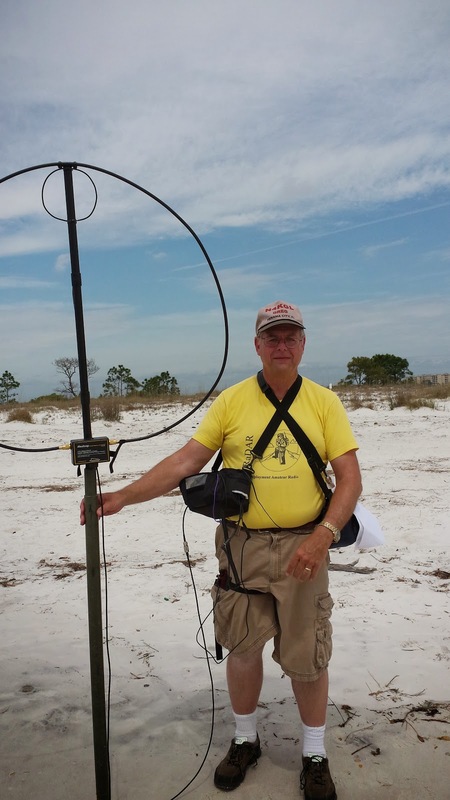 In the podcast for QSO Today with Eric Guth I could not remember my "Elmer" Doug Snellgrove of Dothan's call from my Novice days in the late 60s. My Dad worked with Doug at the Post Office and my Dad went to Doug to get me started in ham radio. 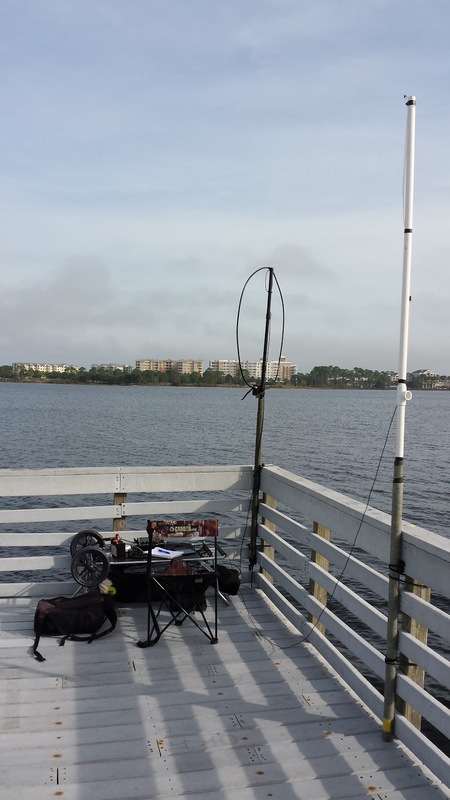 Doug gave me the Novice test and loaned me a HT-6 transmitter for my Novice station. My novice call was WN4JFW. 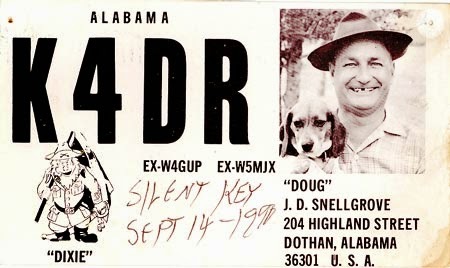 When Forrest WB4SVX back then and now N4FRQ living in Mobile Alabama, heard the podcast he noted that Doug's call was K4DR. A google search brought up his QSL on a site of antique QSLs. Further searches came up with the info below. Doug's other hobby was photography. I note there is a Doug Snellgrove Memorial B&W Photography Award given each year at the Dothan Peanut Festival. Son Stephen Dennis, daughter Jennifer. Parents Thomas Abraham Snellgrove and Eula Stokes. Information from the Wiregrass Archives in Dothan: (submited by Rachel Dobson)Joseph Douglas "Doug" Snellgrove was a semi-professional photographer who created a visual record of SE Alabama and SW Georgia in the 1960's through 1980's. He was particularly interested in color photography of flowers and black-and-white photography of rural lifeways. He made many photographs of rural tourist attractions, such as Westville in Georgia and Landmark Park near Dothan. Mr.Snellgrove was a World War II Army veteran, and worked for the US Postal Service from 1958 until his retirement in 1978. Born in Chancellor, Alabama, Snellgrove was a lifelong resident of Dothan, alabama, and a member of the Cloverdale United Methodist Church. The "D. Snellgrove Collection" of his photographs is in the Wiregrass Archives at Troy University, Dothan Campus.